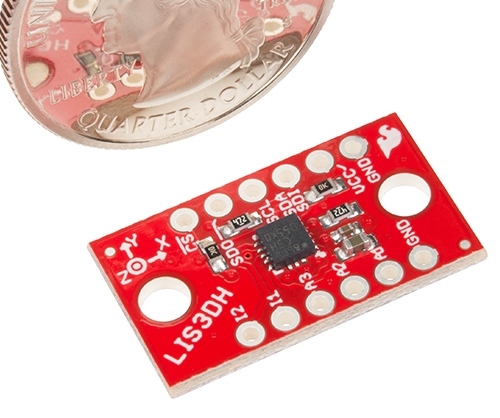 We use 0603 components on 99% of the 500+ SparkFun products we produce here in Boulder, CO. When I show tour groups how big an 0603 resistor is their minds are blown. 0603 components are actually pretty large in the electronics world measuring 0.063 x 0.031" (1.6x0.8mm). 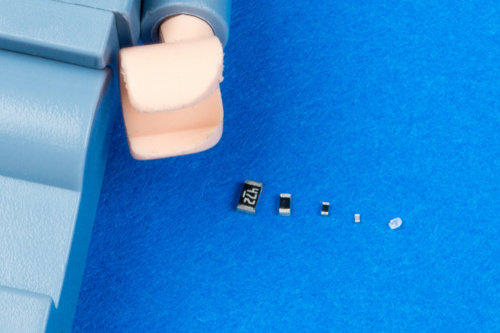 Cellphones and wearables are built with components down to the 01005 package (0.4x0.2mm!). To show this we decided to order some of the itty bitty bits and for scale, we threw in a grain of sugar and a Lego minifig. 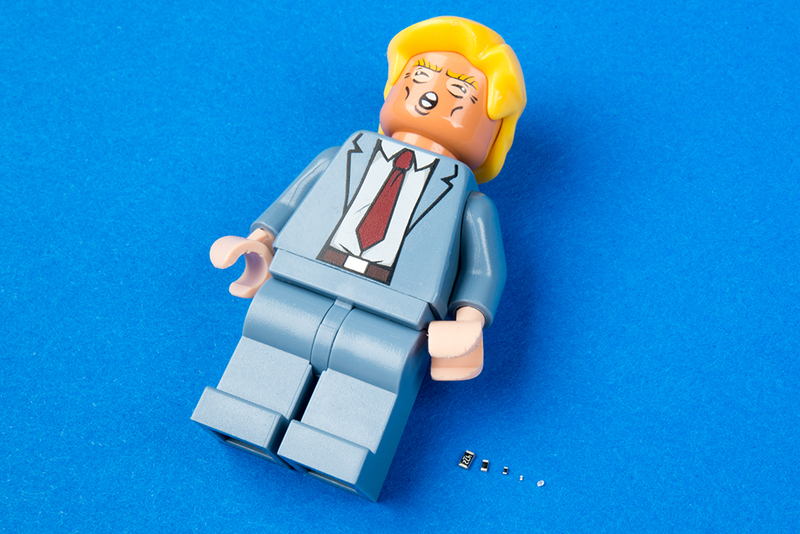 But don't let the size of the minifig's tiny hands throw you off. From left to right: 0603, 0402, 0201, 01005, grain of sugar. With a stencil and solder paste it's possible to hand place and reflow 0402s. However, hand soldering anything smaller than an 0603 becomes problematic because the iron tends to simultaneously heat both ends of the component causing the component to adhere to the iron tip. 0201s and 01005s are so small that it's maddening manipulating them with tweezers. We won't be doing any products with grains of sugar anytime soon but it's interesting to see just how small components need to be to fit supercomputers into our pockets. 201 LEDs and diodes are the biggest hassle on Earth since they are directional and some packages don't clearly illustrate which end is the anode or cathode. You have to rely on its orientation as you removed it from its tape packaging. I usually check them with a meter after placing them on a white piece of paper so I don't lose them. If you look too hard at them, they can move and you have to test them again. If you drop them, just let them go because they're gone! Then you get to actually solder them and the surface tension of the solder on the iron will pick up the part and swallow it whole. If you use hot air and you don't melt the two pads at the same time, the surface tension of the one that melts first will stand it up on end so you have to use a pick or tweezers to push it back down all while wondering if you are going to overheat the board. Ugh - I hadn't even thought about smaller component orientation and hand placement. Indeed, even with larger 0603 sized LED it can be a challenge that often involves soldering them down and reversing it when the proto doesn't blink.